It's a good week for putting on a leather jacket and walking moodily towards a camera that's framing you to the right of shot. Spookily, those are shots from three separate videos, all uploaded to YouTube yesterday. Why they've all adopted this trope, popularised in Bittersweet Symphony, is a mystery. Nearly as big a mystery as why leather jackets are a thing again. But as well as grumpystrolling, the videos have one more unifying feature: A terrific song. In order, they are. Following up Do I Wanna Know, and sticking in the same vein, the Arctic Monkeys unveil this gnarly slab of rock sleaze. 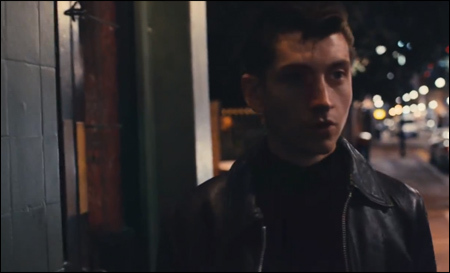 The video, in which a "refreshed" Alex Turner stumbles down the street sexting his lady friend, is largely NSFW. 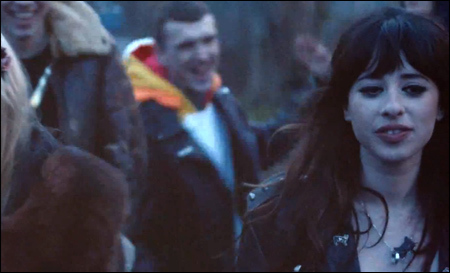 Foxes has had two top 20 hits this year as a featured artist (most notably on Zedd's barnstorming Clarity). Now it's time to ramp up the solo campaign with a re-release of her best song to date, Youth. If you fixate on women with Disney princess eyes, this video is for you. 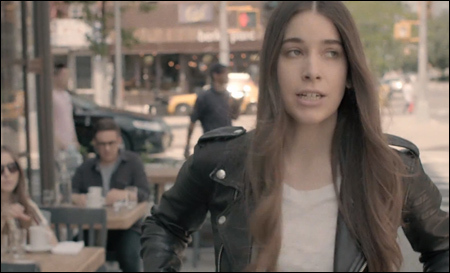 Haim take an unanticipated detour into comedy for their new video. We see Alana, Este and Alanis Morisette Danielle dumping their feckless boyfriends... with hilarious (emasculating) consequences.